Maybe Martial Law, Boros Battleshaper, Archangel of Tithes, Thundersong Trumpeter, Trap Runner? 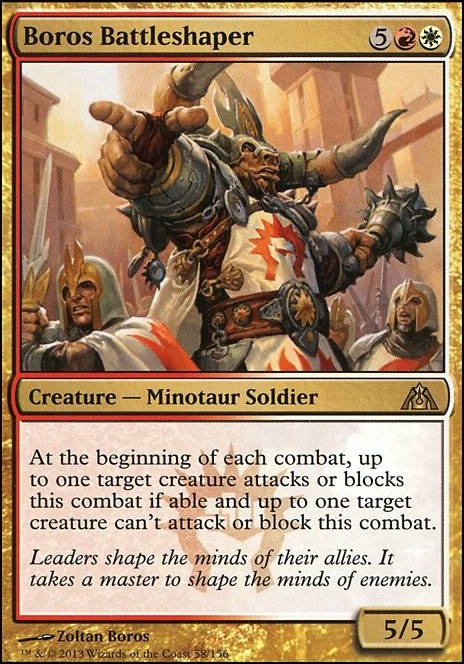 I know the Battleshaper, Trumpeter and Runner dont fit your themes of creature type BUT I think they definitely fit the theme of your commander--since you can't cast spells during combat you put spells that alter combat through static, activated or triggered abilities. I think Martial law and Archangel of Tithes def fit into your deck. Does Boros Battleshaper qualify to be on this list? Found a couple of interesting cards. 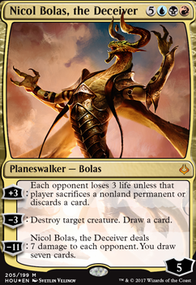 What do you think about Boros Battleshaper, Insult (as a potential wishboard card), Worst Fears (wishboard)? You have 2 Increasing Devotion btw. I feel like Boros Battleshaper would be a good fit for this deck. Every Selesnya deck needs Krosan Verge, so be sure to add that. Hello all! 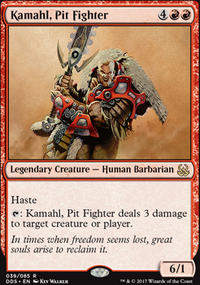 I'm looking to build a deck that forces everyone to attack me, then punishes them with cards like Kazuul, Tyrant of the Cliffs. The problem is I don't have nearly enough cards. As for punishing them when they attack, all I have is Kazuul, Tyrant of the Cliffs, and then Lust for War-type cards, but those aren't great. 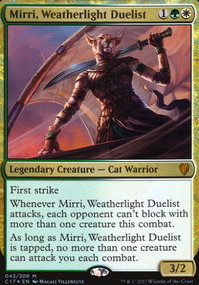 And yes, while cards like Crown of Doom, Gahiji, Honored One, and Assault Suit seem great, I want people to attack me. But it only really works if there are more cards like Kazuul, Tyrant of the Cliffs that then punishes them for attacking me.